When one thinks back over the Wii U era in Nintendo’s history, there are a few stand-out titles. Typical conversations center around the heavy hitters from that era, such as The Legend of Zelda: Breath of the Wild, Mario Kart 8, Splatoon, Super Smash Bros. for Wii U, Xenoblade Chronicles X, and, perhaps, New Super Mario Bros. U. One of those heavy hitters, Super Mario 3D World, the Wii U’s second-best-selling game, recently celebrated its fifth anniversary. In what feels like preparation for an inevitable Switch port, it bears looking back at 3D World and analyzing what, exactly, made it such an outstanding game in an already stellar series. 2011’s Super Mario 3D Land gave the 3DS the boost it needed to pull it out of the early grave which Nintendo’s poor business decisions had cast it in. Brooding over poor sales in the first year of Wii U, no doubt Nintendo saw 3D World in much of the same vein. While, ultimately, this gambit failed to pay off, resulting in the worst commercial failure (discounting Gunpei Yokoi’s unfortunate Virtual Boy) in Nintendo’s history, it produced a spectacular game that, five years later, still delivers the definitive Mario experience. Breaking from Mario series tradition and seeing the most notable inclusion of Princess Peach in a Super Mario platformer since 1988’s Super Mario Bros. 2 (Super Mario Bros. USA in Japan), Super Mario 3D World opened the way for a plethora of new gameplay experiences. From it’s game-breaking, buggy, and incredible fun Cat Suit to its inclusion of a four player mode, 3D World found ways to innovate on the classic Mario formula while keeping the core of the experience, avoiding the alienation that many gamers would find with future entries. 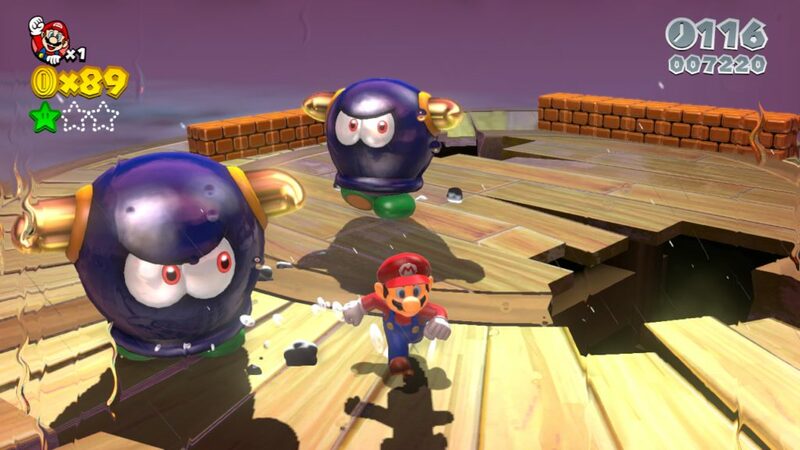 Such neat powerups, paired with an incredible movement system, makes 3D World one of the most slickly-controlled Super Mario games in existence, second only to 2017’s Super Mario Odyssey. 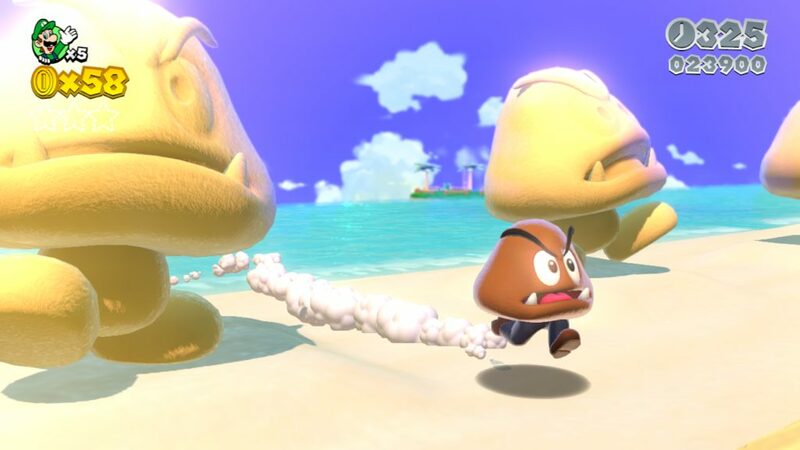 Every character, from Mario to Toad, moves with such grace and efficacy that, when a particularly tough challenge is failed, it never feels like it was the game’s fault. 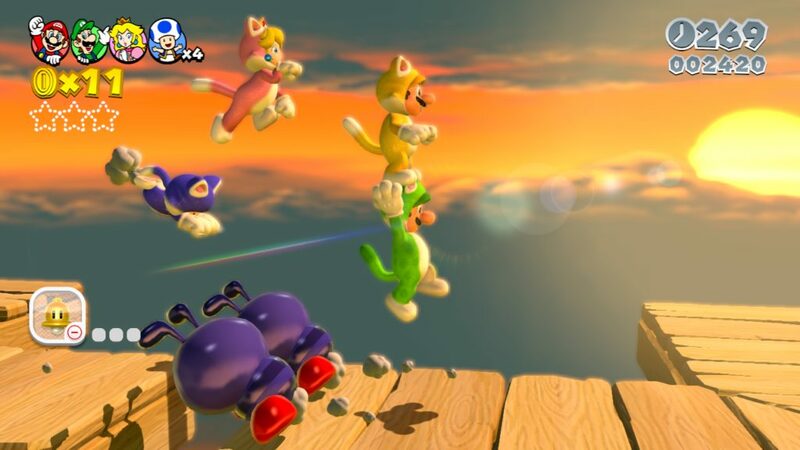 Peach’s float, Toad’s fast running, Luigi’s lack of traction, but high jump, and Mario’s boring normalcy all combine together to make an oddly balanced group of characters that are suited for different aspects of the game’s disparate challenges. The optional fifth character, which I won’t spoil here, is a fun, albeit broken addition whose incredible versatility makes them, easily, the most fun to play as. Such fun gameplay would be truly worthless without fun stages to accompany them. Luckily, 3D World is, arguably, the most well-designed platformer in Mario series history. From Super Bell Hill to Champion’s Road, each level feels carefully designed and well-tuned, a master lesson in game design. YouTuber Ceave Gaming did an analysis of what makes 3D World so successful at level design and it drives home a lot of what makes the game so outstanding: it’s diversity of ideas and ways of teaching players how to solve the game’s many puzzles without explicitly telling them. While this same sense of game design is present in many of Nintendo’s platformers, from Mario to Donkey Kong, it reached its crescendo in 3D World. That it’s possible, if not necessarily easy, to find every one of the green stars and stamps by intuitively, and without a guide, says a lot about 3D World‘s accessibility. Whereas other Nintendo platformers, like Yoshi’s Wooly World, hide their collectibles in ways so devious that one would practically need a guide, 3D World makes finding Green Stars and Stamps as natural as running and jumping. 3D World compliments this excellent game design by incorporating some of the most engaging music and most original stage design in series history. The main theme is a jovial, jazz-infused jaunt that communicates the infectious joy with which the game was obviously made. Longtime Mario series composer Koji Kondo nailed 3D World’s sense of adventure, accessibility, and, most of all, its thoughtful incorporation of all things Mario. Every piece of music feels distinct, and yet familiar, a thoughtful re-imagining of what makes the Mario series special for so many different people. If Super Mario Odyssey’s soundtrack was, like its namesake, a long journey across a variety of different tastes, 3D World’s represents its namesake too, a thoughtful homage to Super Mario World and the vivacity that it brought to the series’ musical tastes. The game’s graphical polish completes the task of creating a beautiful, engaging world. If there ever was a game that put the rest the assertion that the Wii U wasn’t powerful enough to create jaw-dropping game worlds, this is the one. While it runs at a meager 720p, Super Mario 3D World’s nearly-flawless, sixty frames per second presentation (there are very, very few spots at which the game chugs) and its excellent use of environmental design (e.g. rain, snow, and purple, instant-death swamp slime) more than make up for the resolution’s shortcomings. Indeed, it wouldn’t be a stretch to say that, because 3D World does not utilize the dynamic resolution of Super Mario Odyssey, the overall result is a much cleaner, clearer picture that is more consistently beautiful than even its successor. Five years after its release, Super Mario 3D World is still criminally underappreciated. Whether it was a result of the Wii U’s untimely demise or the general blasé attitude that many in the gaming community have held against Mario platformers since the release of New Super Mario Bros. U and New Super Mario Bros. 2 in 2012, it doesn’t really matter. What is important is that Super Mario 3D World deserves another chance. With the release of both Captain Toad: Treasure Tracker and New Super Mario Bros. U on the Switch, it seems only logical for Nintendo to continue the trend and give Super Mario 3D World a port sooner rather than later. If they do, gamers are in for a treat. Though five years and a console have come and gone since its release, Super Mario 3D World remains as fresh as ever, an eternal testament to Nintendo’s most disastrous console. I love both 3D Land and 3D World. I think they’re among the best Mario games. To me, they are how Super Mario should have evolved from 2D to 3D. I loved Galaxy 1 & 2, but never got into 64 or Sunshine, and I found Odyssey to be a bit underwhelming. But I could play 3D Land and 3D World over and over and over (and I have!). I’d love to see 3D World ported to the Switch. Same here! Thanks for the comment. You’re not kidding. I’d love to see this game on Switch. Thanks for the comment!